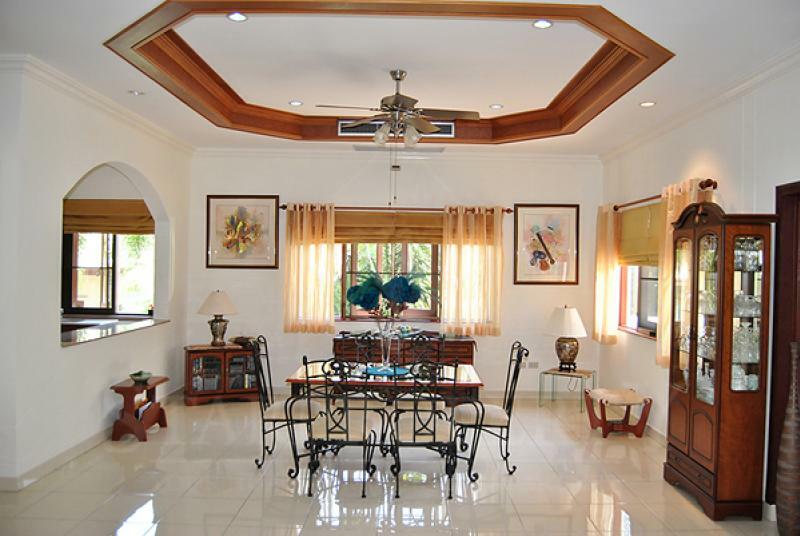 This wonderfully built luxury home has a great atmosphere of style and comfort. 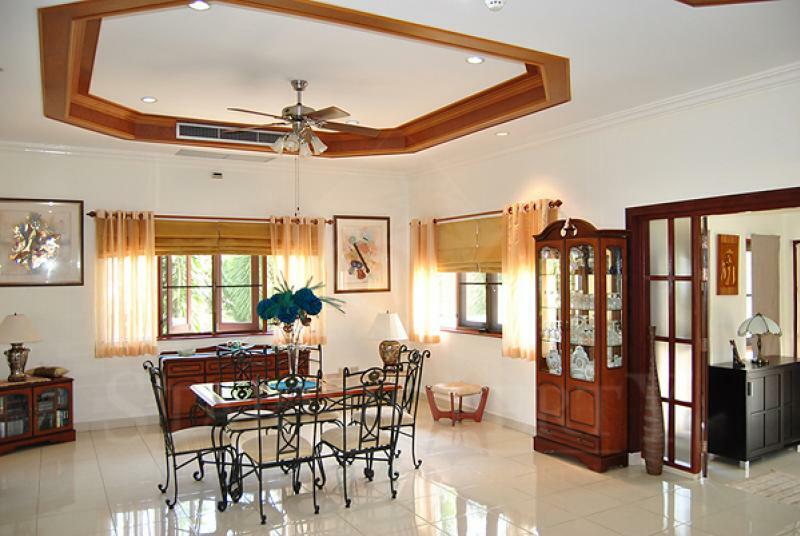 Well designed open family spaces and huge, spacious living and dining rooms form the center of the entrance area. 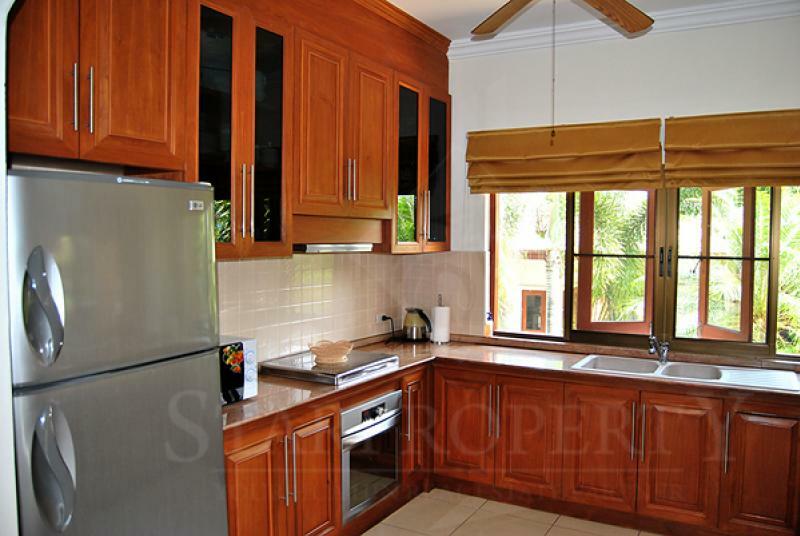 The fully fitted kitchen is top European standard. 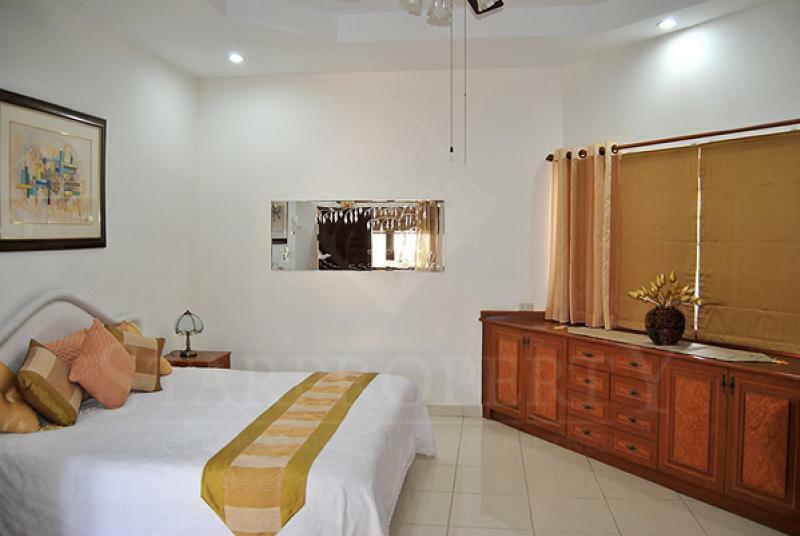 The 3 spacious bedrooms care for all your comforts and needs. 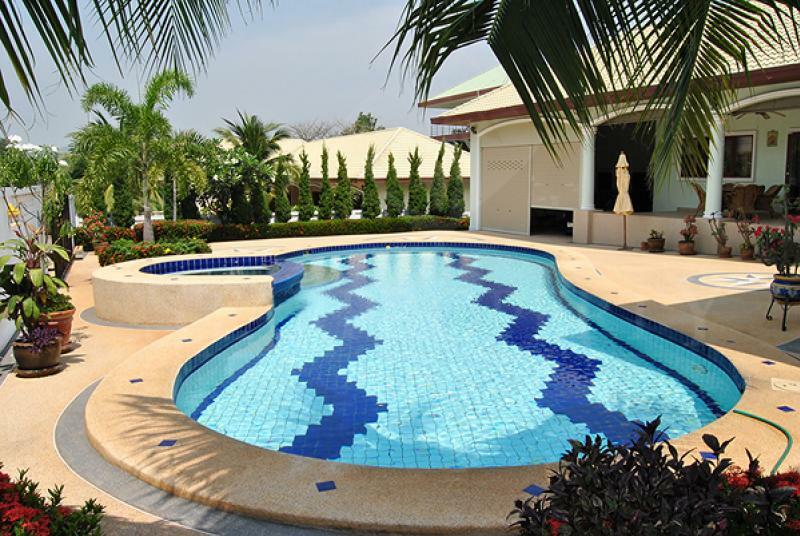 The outside garden views can be enjoyed from the huge covered terrace area with lovely garden furniture, and the 12 x 5 meter pool has a spa/jacuzzi feature as well. 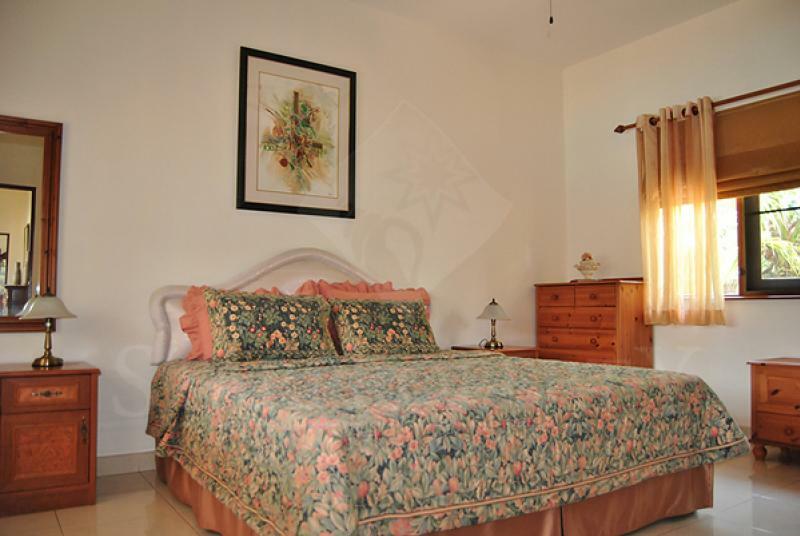 The home also provides an additional maids room with bathroom adjacent to the covered parking area. 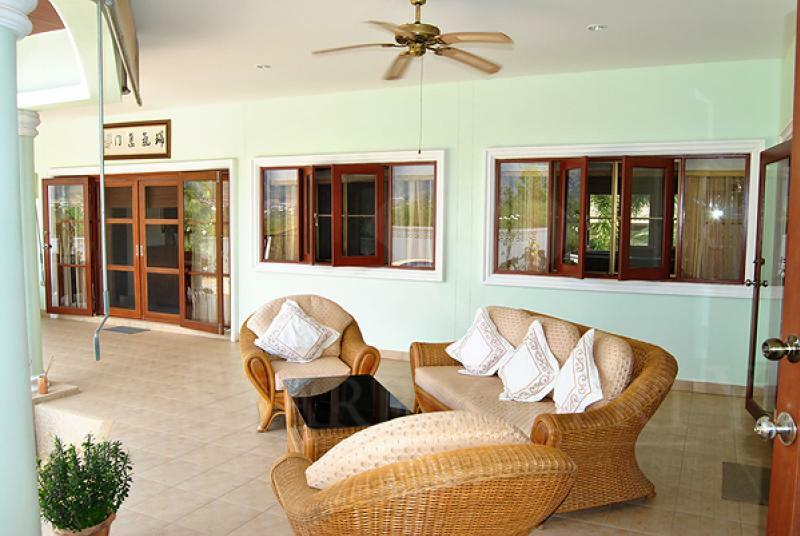 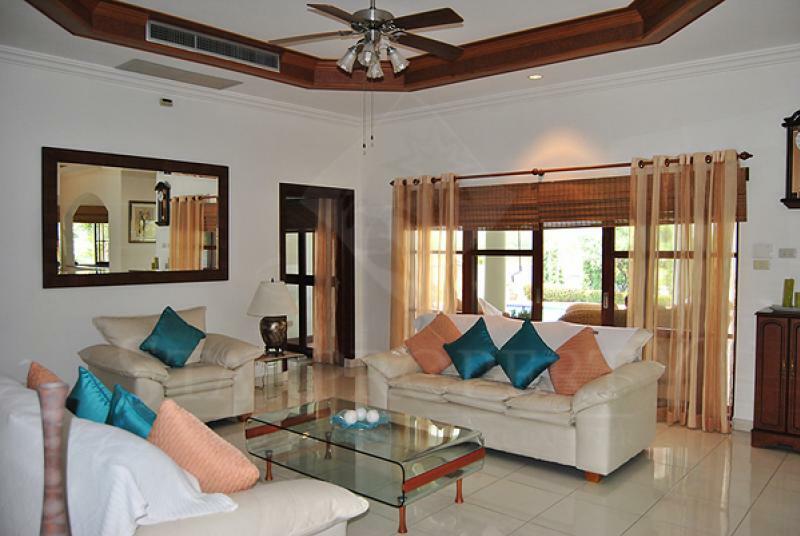 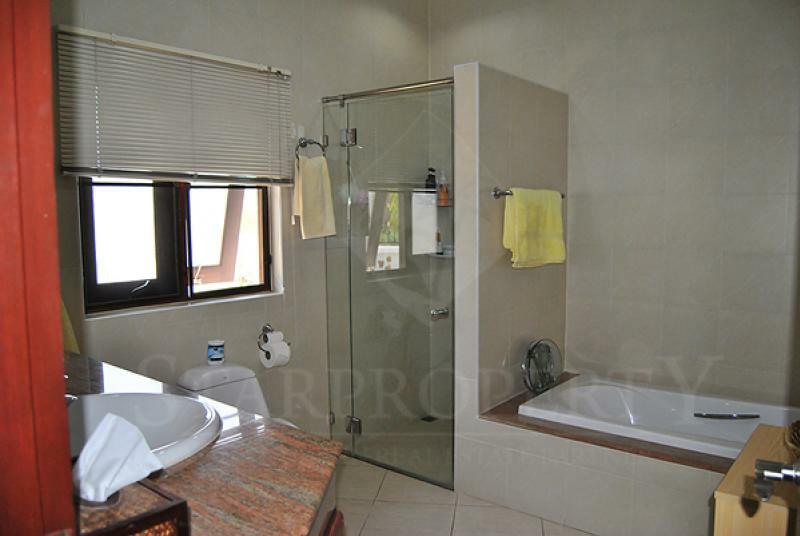 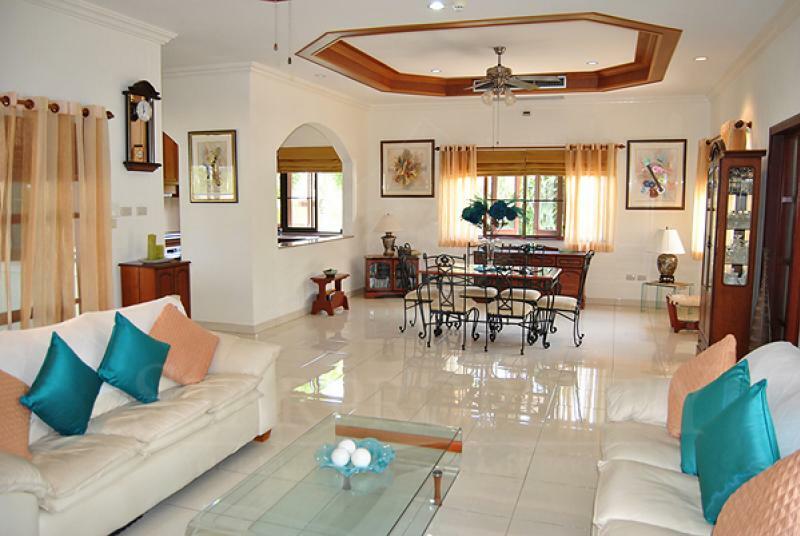 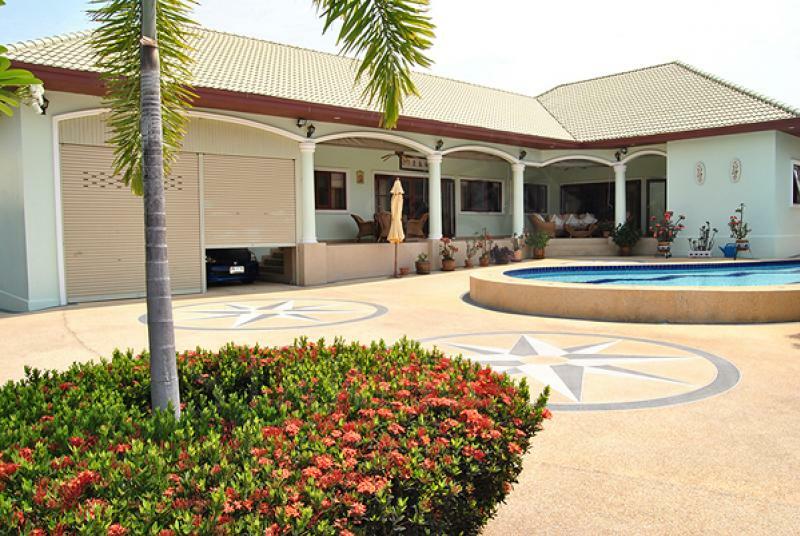 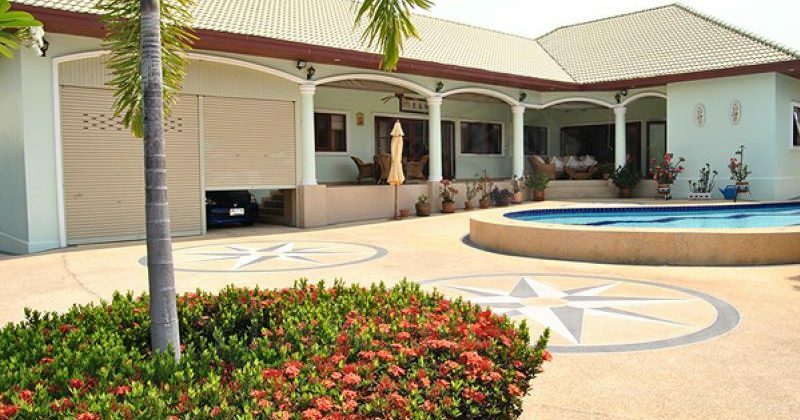 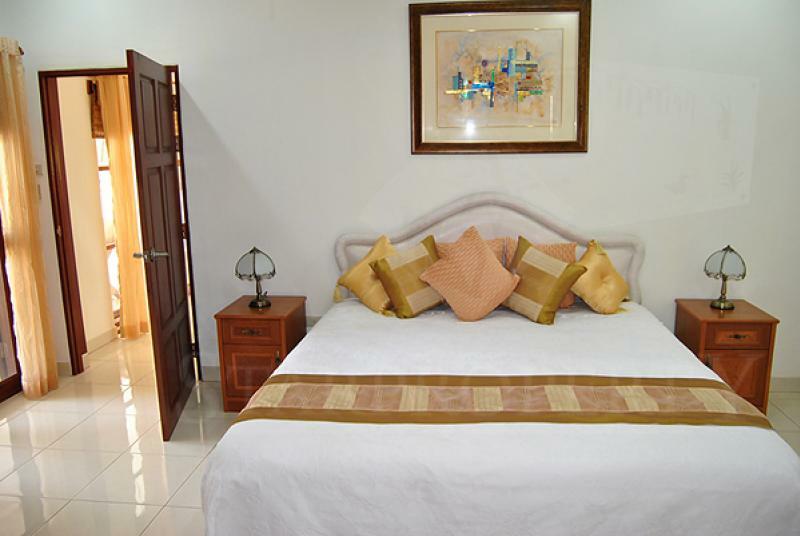 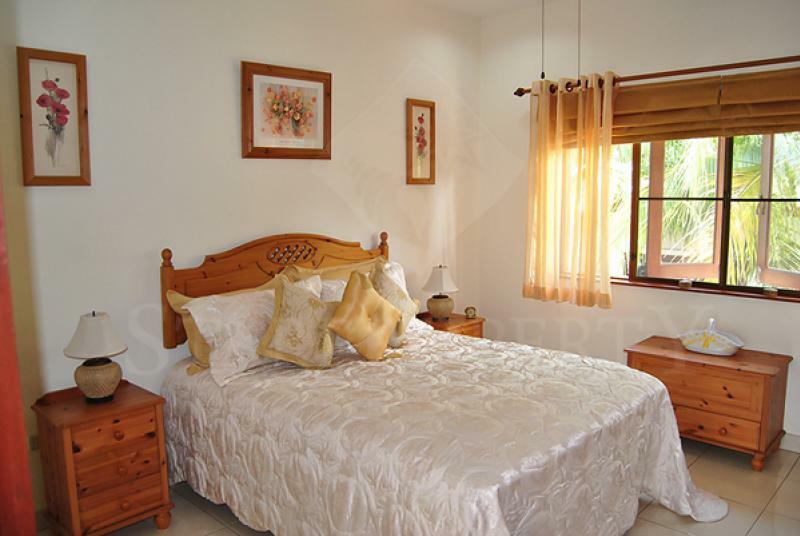 This home is perfect to enjoy the relaxation of Hua Hin.